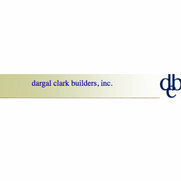 Welcome to Dargal Clark Builders, Inc. We at Dargal Clark Builders take pride in the fact that we are one of the premiere major renovation and custom home builders in Northeast Kansas. Established in 1985, our company is "Dedicated to Building Excellence". Committed to quality and craftsmanship, Dargal Clark Builders sets its focus on fine homes and clientele with the understanding and appreciation of quality custom work. Our house was not built by Dargal Clark Builders but we personally know Dargal and have rented storage space from him and obtained a bid on a crown molding job which we had to put on hold due to college expenses. Dargal treats his customers great and his employees also. He builds quality beautiful homes and is a man of integrity. If you want a quality home or remodel, Dargal should be on your list of builders to choose.